THE influx of Russian oligarchs, US tycoons, and private equity vehicles owned by Gulf states may have robbed modern football of much of its charm and capacity for wonder, but delve deep enough, and you will find a past sufficiently fertile to sustain those who appreciate the game’s core values. The record books preserve the names of giants slain by time, the might of their status and success long reduced to idiosyncrasy. A handful – such as Third Lanark, Corinthian FC, and Blackburn Olympic – enjoy a fragile half-life thanks to the mythology which has built up around their achievements like scaffolding, ensuring something of their history still stands. The majority, however, have been not been so fortunate. With every year that passes, memories of them lose their lustre. That introduction was written in 1951, two decades after the last pit closed. Little did the Rev Faulds know it, but the future held a crueller fate in store for the village. Today, it is depopulated, its name a mere quirk of cartography. It appears on maps just south of the A70 as the road waltzes with the river through the hinterlands between Muirkirk and Douglas, but only one building – Spireslack, a dilapidated former farmhouse – remains at its heart, punctuating a landscape so pocked by opencast mining, it could pass for a lunar surface. Its appearance is befitting, for long ago, something unearthly happened there. 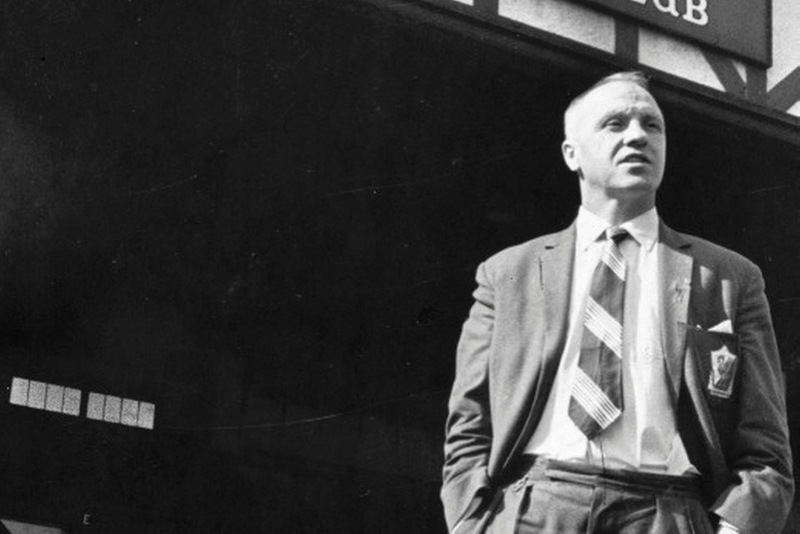 “I never saw a bathroom until I left Glenbuck” – Bill Shankly, the village’s most famous son. Shankly’s worldview was moulded in Glenbuck, whether through the long summers spent playing football until last light, the formative days down the mine which would earn him 2s 6d, or the hours spent talking in card schools which assembled on the rolling hills. No matter the honours he won and the plaudits he received, he never missed an opportunity to remind people of his pride in his background, but also its stark realities, once remarking: “Pressure is working down the pit. Pressure is having no work at all. Pressure is trying to escape relegation on 50 shillings a week. Pressure is not the European Cup or the championship or the cup final. That’s the reward.” It was a salutary observation, delivered in that inimitable gruff voice which would be listened to obediently by future managers – Scots in particular – who considered his every word as monumental as those of Mao; Sir Alex Ferguson, ever the great admirer of footballing days of yore, once challenged an assembled press pack when he asked them about the Cherrypickers. Only a solitary writer escaped the famous Govan ire reserved for the ignorant. My story in Scotland on Sunday about the Banner of Glenbuck initiative. The fragmented structure of the early game meant that Glenbuck’s cream never challenged the likes of Queen’s Park’s Corinthian ideal with their aggressive if fleet-footed style, its successive teams squaring off against other stalwarts of the Ayrshire provinces like Glenafton Athletic, Muirkirk Ex-Services Athletic, and New Cumnock United. Victory in such a close-knit environment was a matter of immense pride – Glenbuck’s doughty players contributed a shilling a week towards the upkeep of their ground, Burnside Park – and often, won at any costs. It was not unusual for visiting fans to the banks of the River Ayr to be pelted by stones, perhaps the earliest recorded instance of the lively rivalry which to this day characterises the Ayrshire game. By way of karma, the Glenbuck men had to endure an arduous journey in three-horse brakes whenever the obligation of an away fixture reared its head. In any case, success was plentiful; no definitive list of honours exists, but the village team secured at least six Cumnock Cups, three Ayrshire Junior Challenge Cups, two Ayrshire Charity Cups, and one Mauchline Cup and Ayrshire Junior Cup apiece. That localised, if keen, nature to Glenbuck’s itinerary has served an injustice upon those men who swapped the pit for the pitch, the vast majority of whom are regarded as an afterthought in the Scottish game. But even a passing examination of their history throws up a welter of talent who not only went on to serve the Old Firm, but the traditional powerhouses south of the border. Two of the most successful were Alec Brown and Alec Tait, who helped Tottenham Hotspur to victory in the FA Cup of 1901, the first time a team from the south of England had etched their name on the cup in several years. In the semi-final against Sheffield United, Brown scored four goals without reply, at which the defeated side’s goalkeeper – a harassed William ‘Fatty’ Foulke, who tipped the scales at close to 18 stones – to wrest Brown off his feet and swing him around in the air. Evidently, there was no lasting damage from the encounter – he went on to score the only goal against Southampton in the final, footage of which can be found on YouTube. In the weeks following the game, he and Tait were granted permission to take the trophy north and put it on display in a shop window in the village for all to see. For those blackened souls emerging from the mouth of the pits, it must have glittered especially bright. The roll call includes those employed by other major teams in the English game, such as Bob ‘Reindeer’ Blyth, who, though best known in Scotland for his stint with Rangers, turned out for Preston North End and Portsmouth. Shankly’s uncle on his mother’s side, folklore has it that the diminutive wing-half could sprint 100 yards in 11 seconds in his football boots. The names continue: Willie Banks of Manchester City; Jock Bone of Aston Villa; Johnnie Bone of Everton; William Blyth of Portsmouth and Preston; Tommy Brown of Portsmouth; Robert ‘Laddie’ Crawford of Preston and Blackburn; John Davidson of Coventry; John Crosbie of Birmingham and Blackpool; Walter ‘Wattie’ Ferguson of Sheffield Wednesday; George Halley, an FA Cup winner with Burnley; Archie Garrett of Millwall; Hugh Knox of Sunderland; William Knox of Everton and Liverpool; Alex McConnell of Everton, Woolwich, and Grimsby; John McConnell of Brentford and Grimsby; Peter McIntyre of Preston and Sheffield Wednesday; Jock McKenzie of Newcastle and Norwich; William ‘Gooley’ Muir of Everton; Robert Tait of Carlisle and Spurs; and Joe Wallace of Newcastle. 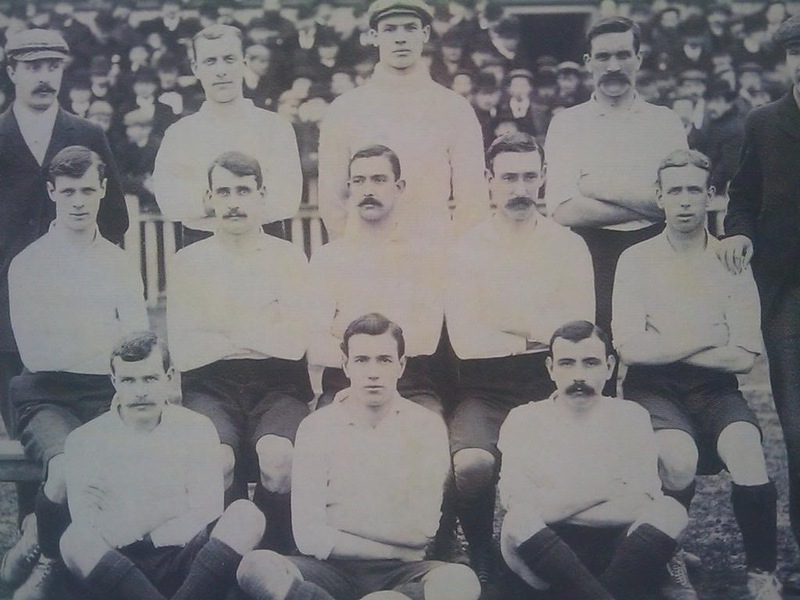 Tottenham Hotspur’s victorious FA Cup team of 1901. Alec Brown, who scored 15 goals in that year’s competition, is in the centre of the front row. Alec Tait is second from right in the middle row. As if that list were not exhaustive enough, it omits the other members of the Shankly clan who, like its most famous member, made a living in England for at least part of their careers: James Shankly, who represented Portsmouth, Sheffield United, and Carlisle; John Shankly of Portsmouth, Blackpool, and Alloa; and of course, Bob, who played with Alloa, Turnbridge Wills, and Falkirk before becoming the architect of considerable success with Dundee. The prolificness of its footballing sons, and the elusive secret which lay behind it, may be unique to Glenbuck, but it is often forgotten that it was just one of a welter of mining communities to gift Britain – and the world – men of footballing prowess. Matthew McDowell, a lecturer in sport and recreation management at the University of Edinburgh and a leading authority on early Scottish football history, helped Gillan with the project’s formative stages. A native of Hackensack, New Jersey, who has become an unlikely cheerleader for our game’s genesis, he is keen to emphasise the village’s leading role as part of a wider tradition inextricably tied to heavy industry; Matt Busby, of course, went down the pits at 16, as did Jock Stein. 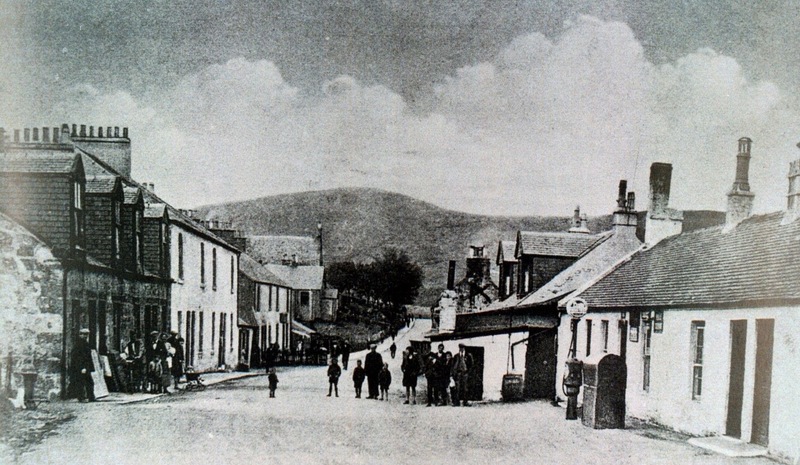 A turn of the century photograph of Glenbuck, home to Bill Shankly and the Cherrypickers. McDowell’s fine observation is illustrated by a yellowing edition of the long-defunct Scottish Referee. In 1890, one unnamed club posted an advert which made it clear they were in search of a skilled Scots player equally capable of graft off the pitch. ‘First-class Centre or Inside Forward required to undertake management of large Hotel and Spirit Vaults, and play with local team in Midlands,’ the classified read. ‘Good Salary. Satisfactory References and Security’. 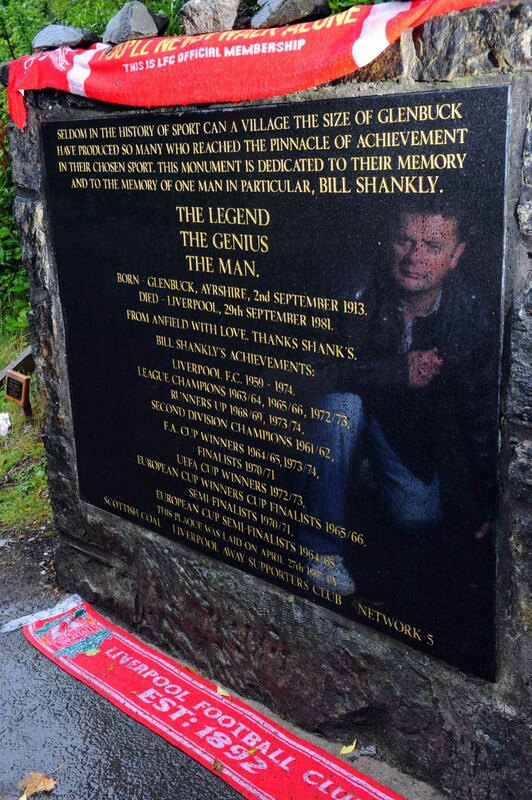 As he begins his work to enshrine the stronghold of Glenbuck, Gillan’s first task will be to organise a gathering at the Shankly memorial on 2 September. A lone piper will play, while supporters of Liverpool are expected to turn out to show their respect to a man who sparked their club’s winning ways, and cemented its customs and institutions. With regards the longer term aspirations, funding remains problematic, but he is cheered by the warm reception from others who share his ideals. He has tracked down relatives of old Cherrypickers players, and has been liaising with the Shankly family with a view to securing some “bits and bobs” to display in the completed museum. So too, encouraging talks have taken place with some of Shankly’s former clubs, including Liverpool, Preston North End, and Grimsby. The Glenbuck of today. 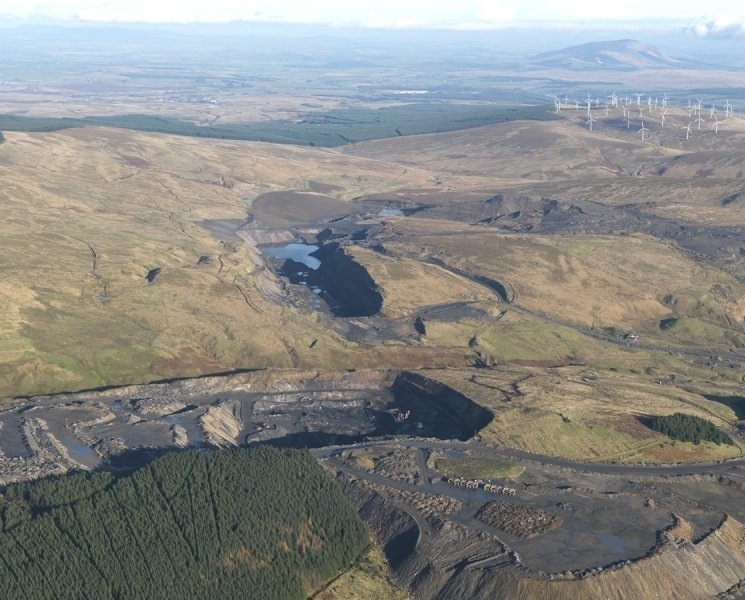 The footprint of the village has been rendered unrecognisable by opencast work which began in the 1990s. The collapse of Scottish Coal has left its future even less certain. Along with his relatives, Carline is in the process of launching the Shankly Family Foundation, a charity which seeks to support grassroots football and young people. The Banner of Glenbuck, he says, “ticks all the boxes” which collectively form the organisation’s ethos. When Gillan happened to approach him via social media, Carline quickly realised the stars were aligning. “It was strange, because when we had informal meetings before we set up the charity, we spoke about wanting to reestablish a link between Liverpool and Glenbuck,” he remembers. “When Rob got in touch, we exchanged emails, then spoke over the phone, and he’s coming down in a few weeks. Straight away, I realised it was a fantastic idea which links in with everything we want to do. We’re going to work with him to try and achieve his goals. As far as Gill is concerned, that would be the perfect scenario. “What better place for my grandad’s artefacts than Glenbuck?” she says. “I’d love to see some of his things there. I went there when I was eight with my grandad, perhaps the only time we all went on holiday altogether, to see his sisters, and I travelled up again last year. I just wanted to see what it was like now. I know people say there’s nothing there, but I really found a great aura about the place. I could imagine him riding around in his bike. It was a great experience. It is likely a series of arduous negotiations will have be carried out before Gillan and co can finalise where the museum will stand. There is, though, one particularly alluring location to bear in mind. Despite the seismic changes Glenbuck has gone through in the eight decades since the Cherrypickers last played, Burnside Park still remains, albeit veiled by thick clumps of grassland three feet high. In time, perhaps, the crowds will gather there once again to remember a deity and his brethren. That would have made him happy. Senior reporter at The Scotsman and Scotland on Sunday. Views here, however, are personal. 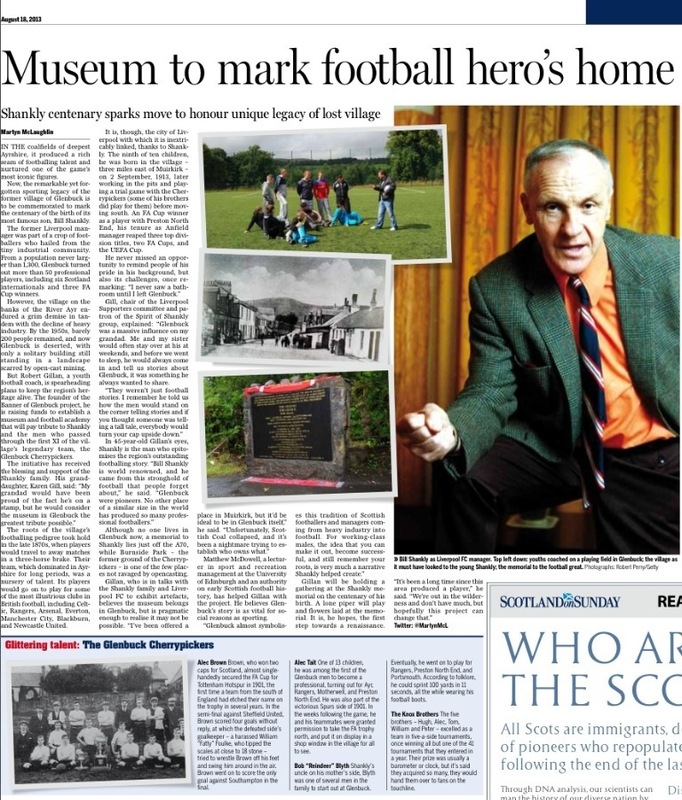 Inspiring and beautifully written piece Martyn, I used to live in Glespin, probably the closest inhabited settlement to Glenbuck and every time we passed the road end, my father reminded us it was the home of Bill and Bob Shankly. At the time Bob Shankly was more pertinent to us as he was the Hibs manager. We attended Lanark Grammar School at the time, where coincidentally our PE teacher was Roger Hynd, Bill and Bob’s nephew. He played at centre forward for Ranges in the European Cup Winners Cup final of 1967, and then turned up for his “work” on the Monday at school. Thanks, Jim, appreciate that. You’re spot on, the Shankly family influence in football goes far beyond Bill and his brothers. I think his dad was a committee member of the Cherrypickers once upon a time. Born in Irvine Ayrshire in 1948 now living on the Wirral I am a lifelong Liverpool fan. Every time I go back to visit my aunt in Kilmaurs I stop in Glenbuck and pay homage to the great man. I think a museum and a coaching academy are a wonderful idea. I used to watch Liverpool train at Melwood with my mate who was an Evertonian and he too was in awe of Mr Shankly who never failed to greet us with “morning boys” every time he saw us on the touchline. What an inspiration he was. The state of Scottish football is a national disgrace anything that involves bringing youngsters into the game has to be applauded. I was brought up in an era when we could mock the old enemy and their robotic athletes with players of huge ability and flare such as Jim Baxter, Willie Henderson, Jimmy Johnstone, Dennis Law, Tommy McClean, Kenny Dalglish, plus warriors like Dave McKay, Billy Bremner, Tommy Gemmel. Where are their like now? Can anyone let me know the details of the memorial on Sept 2nd please? Great memories, Derek. Your best bet for the plans for September is emailing Robert Gillan on glenbuckfootballacademy@gmail.com. He also has a Facebook page at https://www.facebook.com/glenbuck2012 All the best.